After the Small Layout Design Meet, I have been giving a lot of thought to layouts that have continuous running. These layouts can take many forms and we will examine a few here. The most common and arguably smallest is the Pizza layout. Built in a simple circle it is a layout of great simplicity and yet can be fascinating. Some modelers find the pizza layout boring, the general public seems to enjoy them very much. I often see pizzas with exceptional modeling and whimsical themes drawing much attention at shows and events. 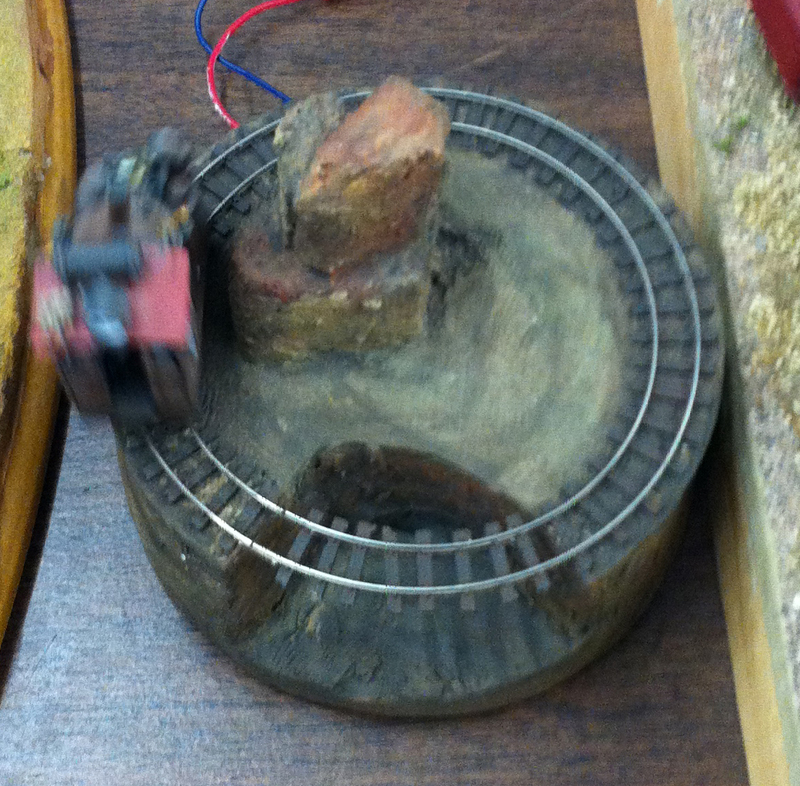 Russ Haigh brought this little pizza layout featuring an alien with his own small loco. Even as simple as the concept was, this layout received quite a bit of attention at the show. 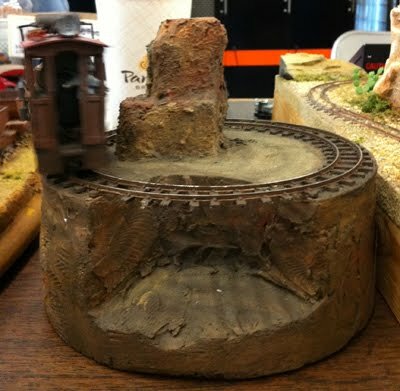 These little layouts by Jim Foster were presented at the Small Layout Design Meet and were very well done. The layout on the right is a true pizza with a square base, while the layout on the left is an oval design. They are fine examples of small simple layouts with wonderful modeling. Continuous running does not mean without turnouts. 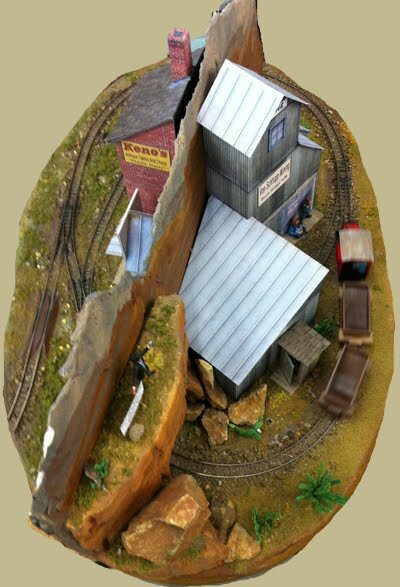 Adding a couple turnouts adds to both the operating and scenic interest of the layout. Turnouts may be added for either operations with siding and spurs or add new routes for the train. Even if the turnouts are not used, the impression is given that this is a working railway. 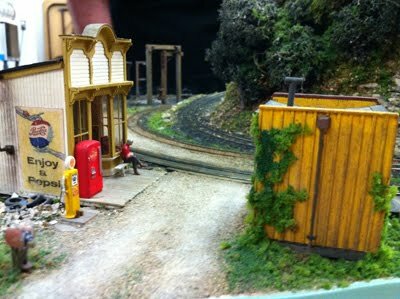 These two small layouts are by Russ Haigh. They are both examples of continuous running with minimal turnouts. 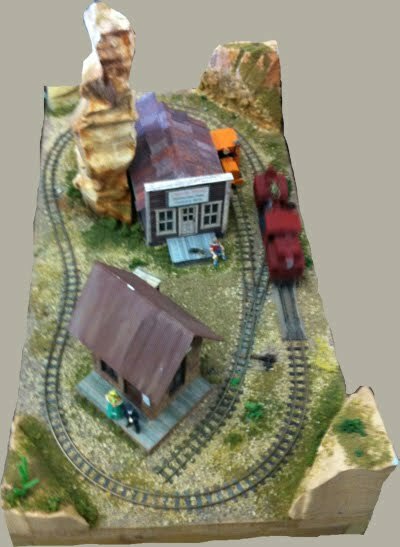 Small layouts for continuous running do not have to be micros. 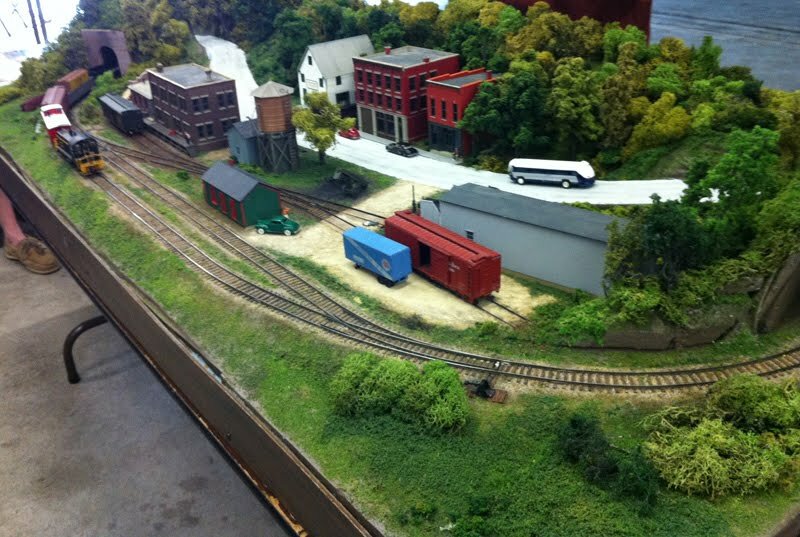 The following HO layout by Al Askerberg is just 33″ x 65″ although it appears to be much larger. It incorporates a hidden return with staging built into the hill at the rear. The rabbit warren layout is a continuous loop folded over itself several times with multiple levels and lots of tunnels for trains to pop in and out of. 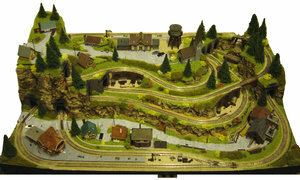 This type of layout keeps the spectator occupied and guessing where the locomotive may appear next. A rabbit warren layout does not have to be continuous running but is most effective in the form. The following is an example of a rabbit warren by Chris Dirgriz. 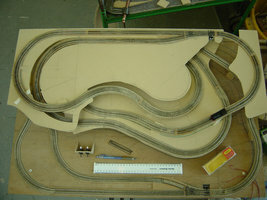 The layout is N scale and measures 3×2 foot. 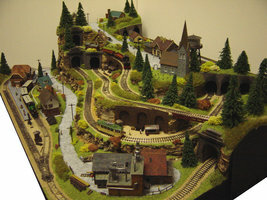 Additional images and information on this layout can be found at http://dirgriz.deviantart.com/gallery/38783906. As I stated at the beginning continuous running has an appeal for those who just want to see the trains run through the scenery. They can be very captivating and provide a platform for the artist within us. I am considering a rabbit warren of my own design and I am sure we will visit this subject again very soon. 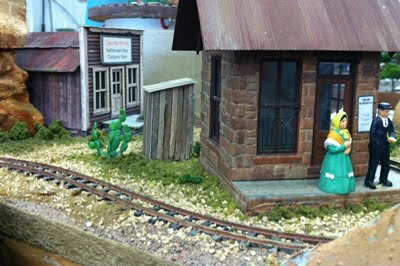 Have a small layout you would like to share? Drop me a photo a brief description. I will be happy to include it and I am sure others will enjoy it! WOULD LOVE TO SHARE THIS ON MY WORD PRESS BLOG. ANY CHANCE OF THAT? Sure, as long as you link to the original.